Extended Range Electric Vehicles Coming to Lexus? Discussion in 'Lexus Lounge' started by krew, Nov 8, 2016. Toyota could have electric vehicle tech out by 2020. Best news ever. Finally Toyota realizes what the future is. Looking forward to new BEVs from Toyota and Lexus. An AWD BEV Toyota C-HR would be awesome, and maybe some sporty AWD Sedan from Lexus. Hopefully Toyota will stop using Hydrogen Fuel-Cell Technology and just use a conventional electric battery. Just make sure that the making of the battery does not emit for CO2 than it will save like the Prius battery. Finally Toyota realizes what the future is. Not long ago the future was diesel tech. It is really sad that Toyota never realized this FACT. Just make sure that the making of the battery does not emit for CO2 than it will save like the Prius battery. Mission already accomplished. The huge prius battery weights 90 lbs. A tiny 85 kwh EV battery weights only 1300 lbs. This translates to roughly 14x times more weight than NiMH prius battery. For VAG diesel was the future, for Toyota HFC was the future. It turns out they both had their FACTS wrong, now they finally both realized they were wrong. Finally. Had Lexus for years and still love them, but I switched over to the Tesla Model S. After all that Lexus has said about electric cars I have been incredibly disappointed. At least they have finally smelled the coffee and moved over. GSCT, Lexus Cohen and Levi like this. Going a little off topic, when will the new LS debut? 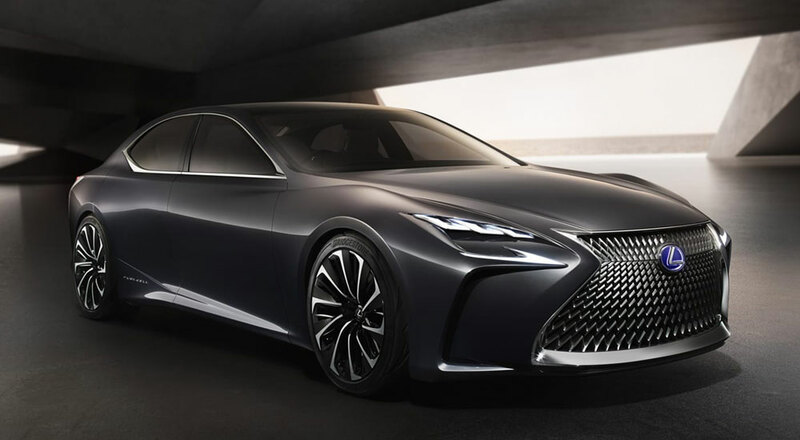 @Lexus Cohen: debut is believed to be at January NAIAS in Detroit, on sale in dealers mid-2017. On topic, I'd love an all-electric LS if it had good range; the Model S has its charms, but a well-built luxurious car it ain't. Lexus Cohen and meth.ix like this. While it certainly isn't LS quality, the production standards have significantly improved from the earlier models and I'm more than satisfied with the build quality and especially performance of mine. Now looking forward to my son's Model 3! It is really a shame. Lexus has a past of showing the industry the future of mobility not following the nonesense with years of delay. They said previously that pure electric cars are not the future and they were right. They said that hybrids are the future when everyone else disputed this, and now every carmaker is making hybrids. Lead the way and don't follow the others! I am shocked by your response! What VAG did/does has nothing to do with my wording, but you present the whole matter as VAG's pipe dream and you put them on the same basket with Toyota!!! I was referring to actual automakers, not Mafia! VAG and scammers products should never get benchmarked and mentioned as respectful competitors, otherwise it is like we applaud their defrauding tactics. Thanks to their cheating culture they introduced expensive solutions in their products in an affordable way in terms of economics, beat the competition and won the admiration from everyone. The whole scheme is an introduction and an academic lesson about how plots implemented and when it is the right time having the "shocking" truth revealed. I hope readers get the irony in my comment!